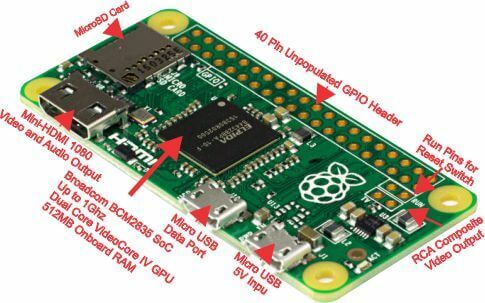 We will learn how to create a file server using Raspberry PI Zero W board. 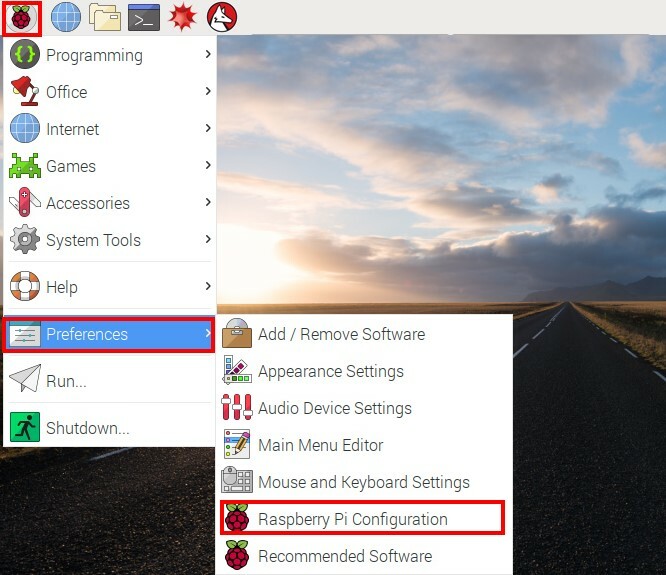 It’s easy to use a Raspberry Pi as a Samba file server where you can store backups and share files from all the other computers on your network. 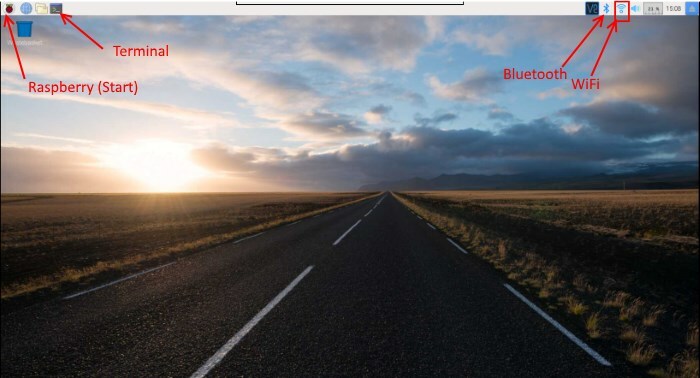 Samba is the Linux implementation of the SMB/CIFS file sharing standard used by Windows PCs and Apple computers, and widely supported by media streamers, games consoles and mobile apps. 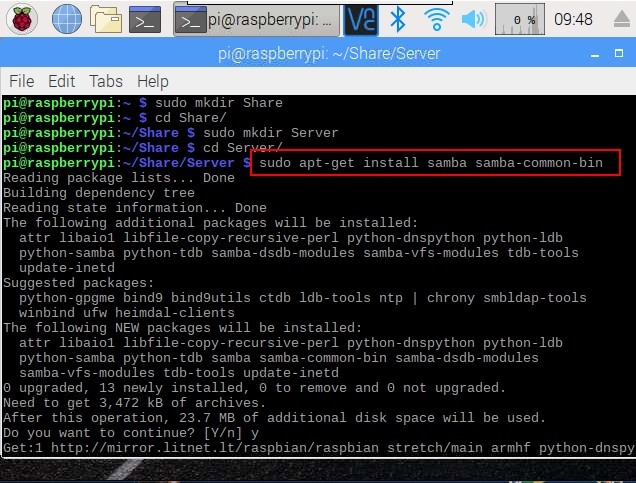 With Samba activated you can quickly copy files from a computer on your network to a Raspberry using wireless LAN (or a direct Ethernet connection). We also assume you’re using a 32GB (or smaller) micro SD card, which provides a reasonable amount of storage space without requiring any extra steps to make it accessible. However, if you need extra storage, it’s easy to mount a large external USB drive and create a Samba entry for it. 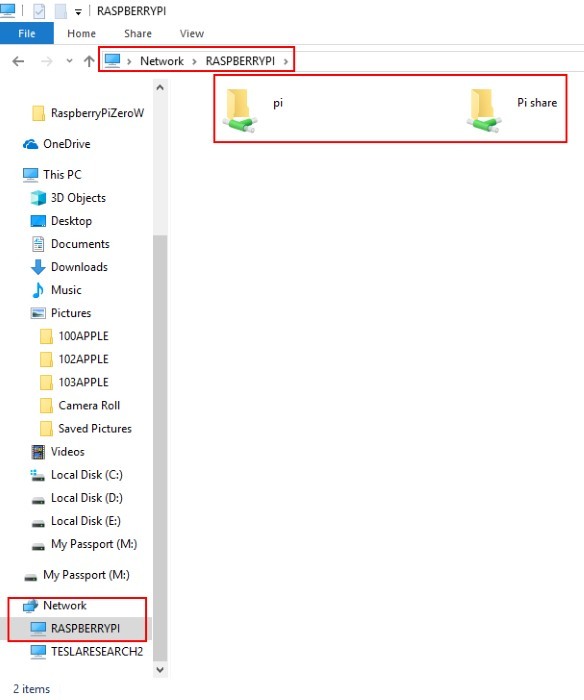 Alternatively, if you want to keep things compact, you can install Raspbian on micro SD cards of up to 256GB, although we suggest checking online (non-working SD cards) before you buy to make sure you get one that’s fully compatible with the Raspberry Pi. Once set up, you can mount your home file server on all the other computers on your network, and use it as a convenient place to store everything from music files you want to share with your housemates, to backups of important documents and save-game files you’d like to share between computers. We recommend using a wired Ethernet connection for stability and fast transfer speeds. 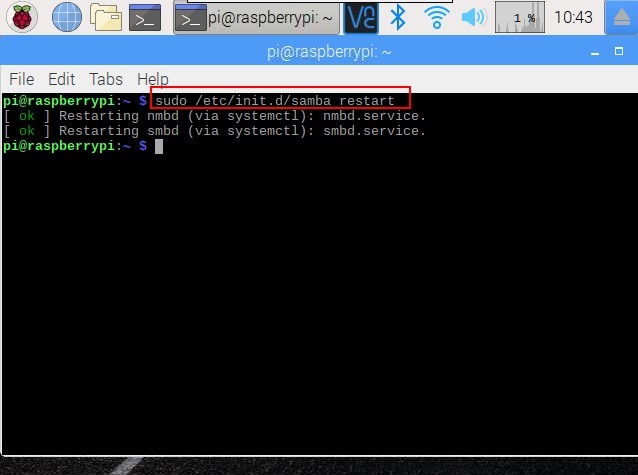 The project will still work if you connect your Pi via WiFi, although performance will be affected, particularly when it comes to copying over large files. 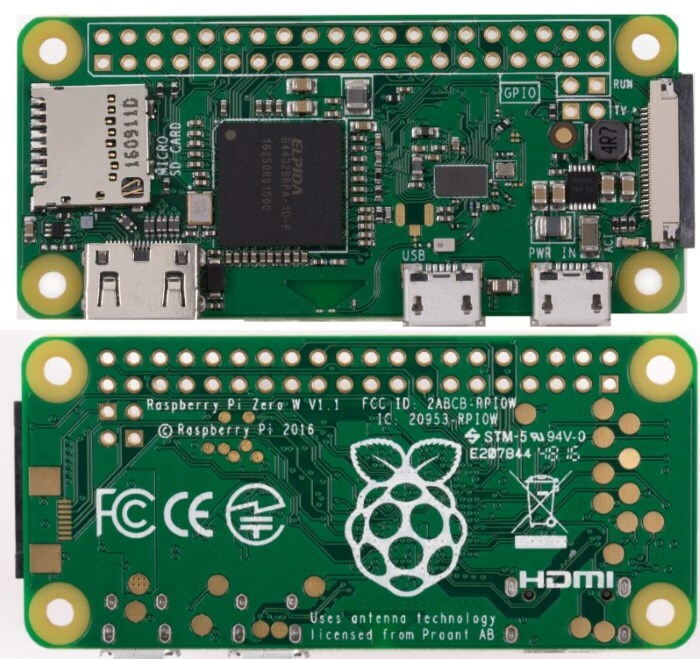 We will need to know our Raspberry Pi Zero W board IP address to access it. Type this command: hostname -I As you can see we have 192.168.0.117. 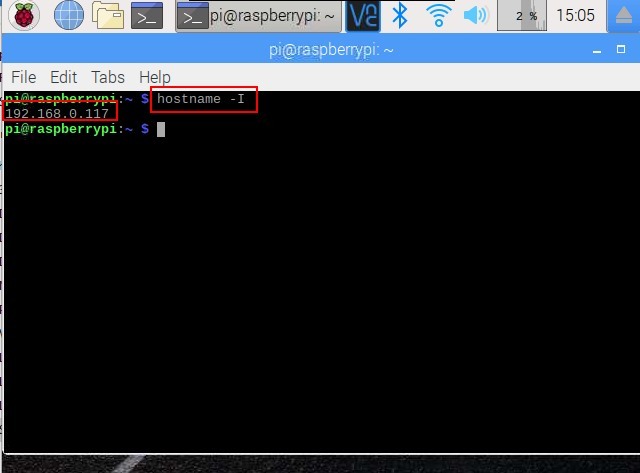 Using obtained IP address you can remote login to Raspberry Pi Zero W board with SSH. 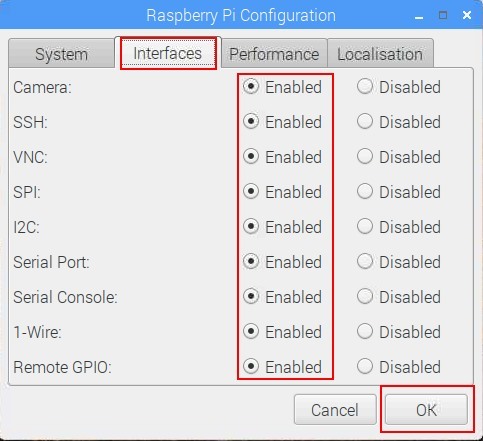 After restart of Raspberry Pi set up the remote access to your Raspberry Pi Zero W board . You can read hotw to do it here. This means that anyone will be able to read, write, and execute files in the share, either by logging in as a Samba user (which we’ll set up below) or as a guest. If you don’t want to allow guest users, omit the guest ok = yes line. 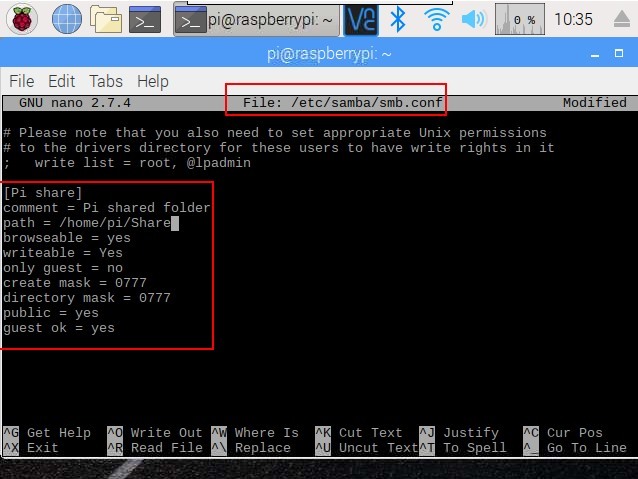 You could also use Samba to share a user’s home directory so they can access it from elsewhere on the network, or to share a larger external hard disk that lives at a fixed mount point. Just create a smb.conf entry for any path you want to share, and it’ll be made available across your network when you restart Samba. You will need to type your password and press Enter button, then type again the same password and press Enter button. Your password will be saved for user pi. 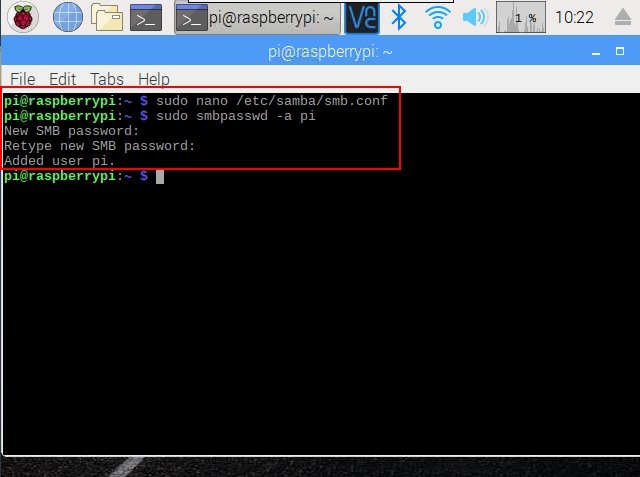 From now on, Samba will start automatically whenever you power on your Pi. 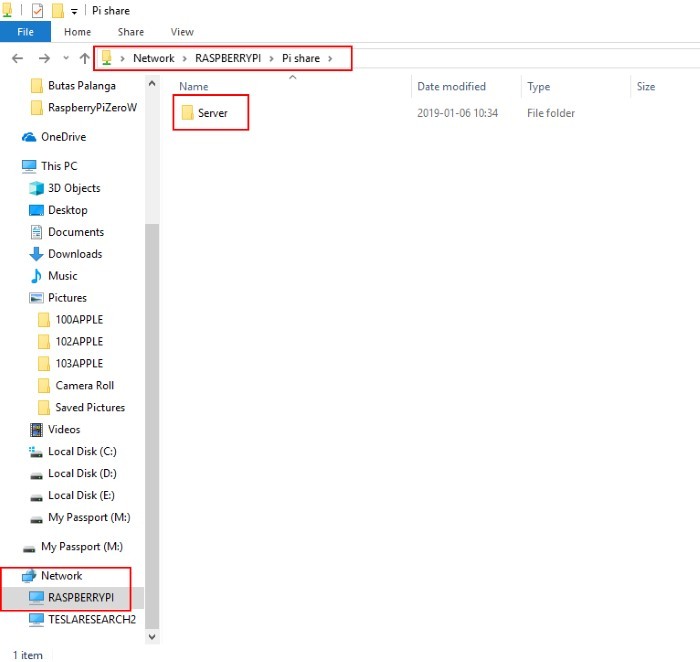 Once you’ve made sure that you can locate your shared folder on the network, you can safely disconnect the mouse, monitor, and keyboard from your Pi and just leave it running as a headless file server. 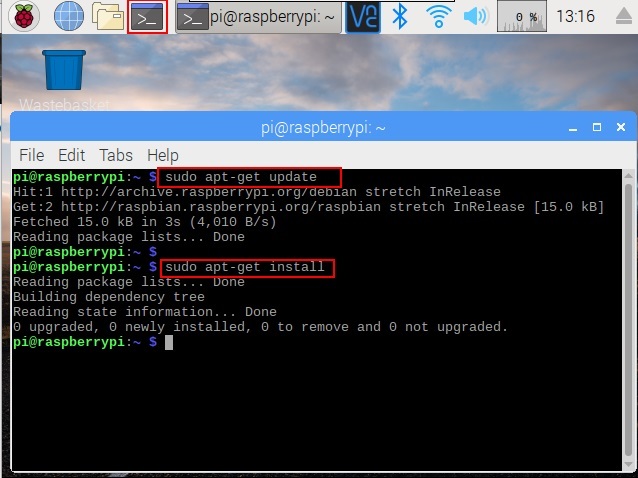 YWe’ll now be able to find your Raspberry Pi file server (named RASPBERRYPI by default) from any device on your local network. If you’ve left smb.conf’s default settings as they are, it will appear in a Windows network workgroup called WORKGROUP. 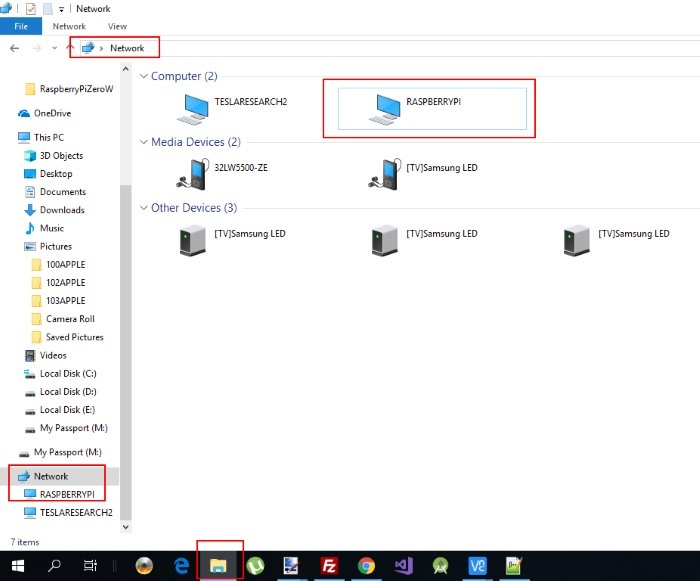 If you have Windows 10 go to File Explorer and check for Network - you will see the RASPBERRYPI. 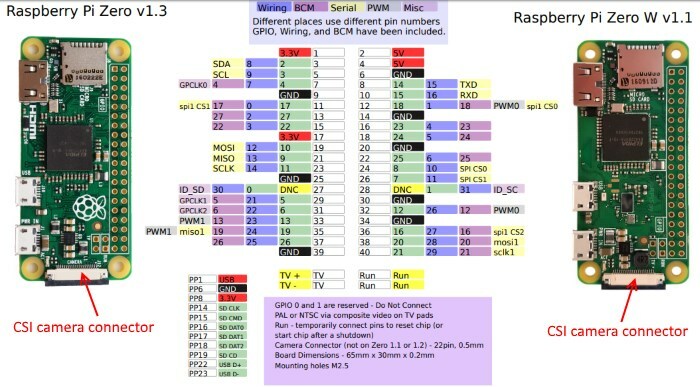 Double-click on RASPBERRIPI. 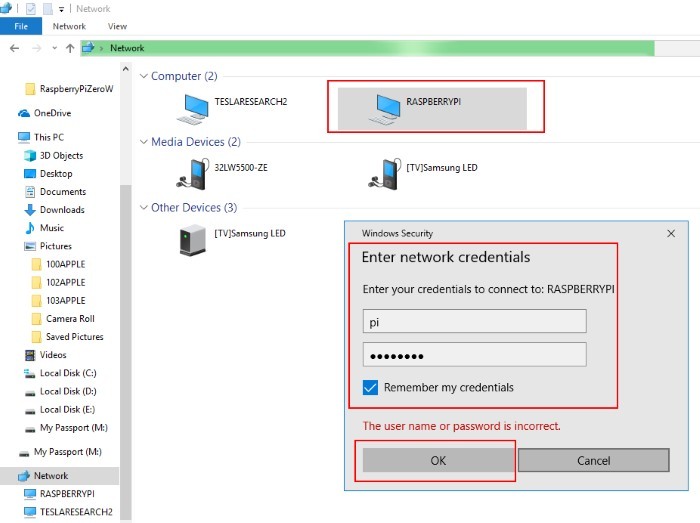 You will need to enter your network credentials (username (we have pi) and password) and tick on box Remember my credentials and press OK button. 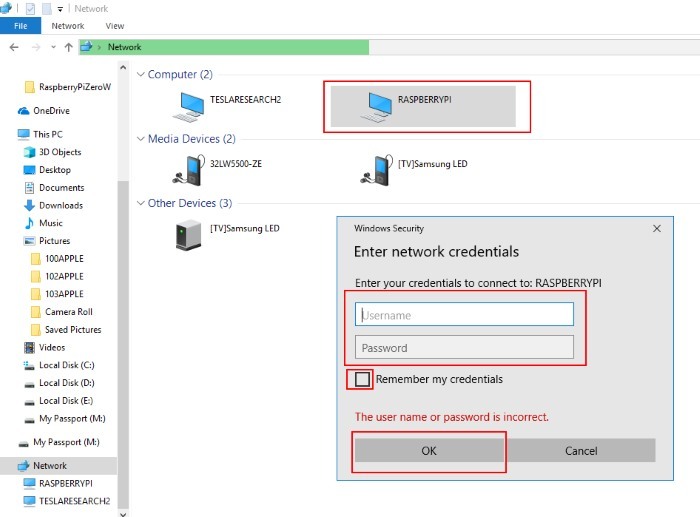 Your network credentials will be saved and used every time for automatic log on. You will see two network folders Pi and Pi share. You should see Server folder appearing. 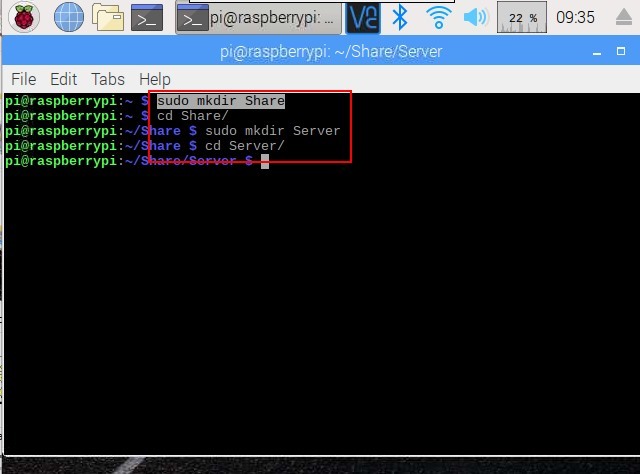 We have learnt how to create a file server using Raspberry PI Zero W board.